In addition to his legacy as an artist and performer, Prince also had, throughout his career, a complex relationship with the world of digital music distribution, and while he certainly tried many different tactics when it came to making his music available to the public, it's unclear just how successful he was. Undeniably, Prince’s death last week marked the loss of a true musical genius and maverick. In his life, he was known for being a talented musical innovator with flamboyant clothes and a contrarian streak. He was adept at a range of instruments, as well as in multiple genres of music including funk, jazz, pop, rock, and R&B. As broadly gifted an artist as he was, Prince never quite found the right approach when it came to licensing his music for distribution— in spite of the fact that sold over 100 million records, placing him among the best-selling artists of all-time. He won an Oscar, a Golden Globe, and seven Grammys, among other accolades. His massive discography includes 50 albums, 104 singles, 136 music videos, among other creative works. And yet his fans were left in the odd position, on the news of his death, of being frequently unable to provide links to Prince’s massive oeuvre. Like David Bowie, who died only a few months earlier this year, Prince was constantly reinventing himself throughout his career. 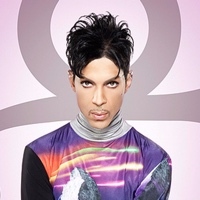 But one key reason for his reinvention— at different times, he was known by “Prince,” “Jamie Starr,” an unpronounceable glyph, and perhaps most notoriously, as “The Artist Formerly Known as Prince”— was his unhappiness with his record labels, and later with digital/Internet distribution. And even now, if you’re looking to listen to your favorite Prince tracks on popular digital music services like Spotify or Apple Music, you’re out of luck. While you can find some live performances on YouTube, and a couple exceptions like his single “Stare” on Spotify, the streaming rights to his music are licensed exclusively through Tidal— a niche subscription-only service owned by Jay Z. But it’s hard to see how it would make business sense to exclusively license with them, as Prince did. For one thing, it’s not entirely clear that Tidal’s rates are that much better than Spotify. Respectively, they each claim to pay out 75% and 70% of their revenues to rights holders. Yet, Tidal has also claimed that they pay out four times Spotify’s royalty rate. There was some confusion on the Internet about whether “royalty rate” was a percentage of Tidal’s total revenue. According to Schlogel, it is. The industry standard royalty rate, she says, is 70% (roughly 60% to record labels, roughly 10% to artists via publishers). Tidal pays 62.5% and 12.5% (which equals the 75% Jay Z is referring to). This makes their base royalty rate going to artists 25% higher than Spotify. But Tidal also has about 45% of their subscribers on a $19.99 per month premium tier. This would make the share of revenue going to artists around 80% higher. That’s a lot more! Artists should all be switching to exclusive deals with them, right? Well...not so fast. Spotify alone has 30 million paying subscribers. 100 million if you include ad-supported free tier listeners. Apple Music has another 11 million paid subscribers. Compare that with Tidal’s relatively paltry 3 million. Not to mention commercial distribution to YouTube’s 1 billion active users, or the dozen other streaming services out there. Assuming those subscribers have comparable activity profiles, it wouldn’t make business sense even if they paid ten times the royalty rate— at which point it would be more than total revenue. Although, artists can do whatever they want. It’s a free market (sort of). It's classic Prince: Tidal is the best program not only because it pays better, but because it gives him the most control over his music and his persona. And Prince never let someone else control his persona if he could help it. This was fully consistent with the character of a man who preferred to play small, intimate venues even when he could have been selling-out stadiums. I love Jay Z so much, but Tidal is (so) expensive compared to other perfectly good streaming services, he's taken the biggest artists ... Made them exclusive to Tidal (am I right in thinking this? ), people are going to swarm back to pirate sites in droves ... Sending traffic to torrent sites. Perhaps unsurprisingly, when Kanye West decided to release his album The Life of Pablo exclusively on Tidal, it was pirated over 500,000 times in its first day alone— drawing fire for reinvigorating online music piracy. During his career, Prince also flirted with various album release strategies, and explored ways to cut out the middleman by going fully independent. Prince’s strategy was visionary, but ahead of its time. A solution that’s just now coming of age is blockchain-driven smart contracts for digital music consumption. If they catch on, they could cut out the middleman and transparently distribute revenues directly to artists behind a given work, according to pre-arranged terms. Prototype service Ujo is already doing it with artist Imogen Heap’s single “Tiny Human.” So, in actuality, perhaps Jay Z should be more worried about blockchain than Spotify. Indeed, as streaming becomes the dominant revenue source in the music market, and consumers continue to shift away from physical media and digital downloads, the pressure from artists will only increase as they seek more transparency, and a stronger ability to renegotiate their share of revenues from all sides (but particularly from labels). LotusFlow3r.com, resembled a galactic aquarium, featuring doodads like a rotating orb that played videos. The promise: fans who ponied up $77 for a year-long membership would receive the three new albums, plus an ensuing flow of exclusive content, like unreleased tracks and archival videos. It was also met with a mixed reception, and a year after its launch, it went dark. He's also gone legal a bunch of times, suing a bunch of websites, threatening fan sites for posting photos and album covers on their sites, suing musicians for creating a tribute album for his birthday, issuing DMCA takedowns for videos that have his barely audible music playing in the background and 6-second Vine clips that are clearly fair use. The internet's completely over. I don't see why I should give my new music to iTunes or anyone else. They won't pay me an advance for it and then they get angry when they can't get it. Despite all the digital-copyright agitation Prince managed to generate in the steps he took to express his unhappiness with Internet distribution channels— and despite his insistence, it doesn’t seem as if the Internet is “over” quite yet— he will of course be remembered primarily for his genius as a songwriter, performer, and producer. And, also, as a visionary. Although he passed away just before the rise of virtual reality and mixed reality technologies, one can only imagine him as someone who would have embraced it. Even if imperfectly. Ironically, given his virtuosity and lasting impact on pop music, limiting his digital distribution, and the ability of his fans to find new creative uses for his work, makes it orders of magnitude more difficult for fans to bring his music to new generations of listeners, who may never know what all the fuss about Prince was about. And that’s a shame.